The Bozeman Doc Series continues with the Montana premiere of The Seer: A Portrait of Wendell Berry on Thursday, April 14th, at 7pm at the Emerson Center. Henry County, Kentucky, like many rural landscapes across America, has become a place of quiet ideological struggle. In the span of a generation, virtues of simplicity, land stewardship, local economies and rootedness to place have been supplanted by a capital-intensive model of industrial agriculture characterized by machine labor, chemical fertilizers, soil erosion and debt – all of which have frayed the fabric of communities. Writing from a long wooden desk beneath a forty-paned window, Wendell Berry has watched this struggle unfold, becoming one the most passionate and eloquent voices in defense of agrarian life. 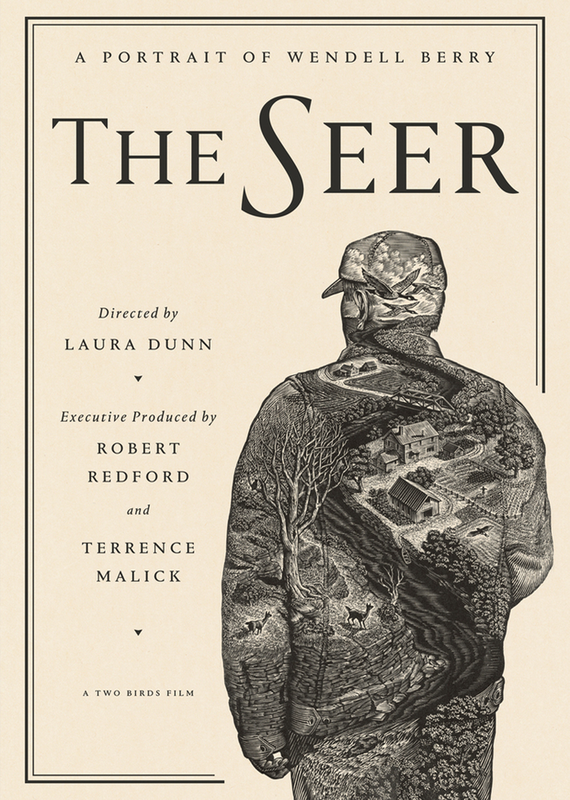 The Seer is a cinematic portrait of the changing landscapes and shifting values of rural America in the era of industrial agriculture, as seen through the mind’s eye of one of the most influential writers of the past half-century. The Seer world-premiered at the South by Southwest Film Festival in early March, where it was awarded a Special Jury Prize for Visual Design.